Nero are champions of a dark, electronic sound and are one of the most distinctive acts in British music of recent years. Between II Worlds is the long-awaited follow-up to their hit album Welcome Reality of 2011, with it being a long four years to wait for a fresh slice of their particular brand of dance music. It was worth the wait. This album does a great job of evolving slightly beyond what Nero had done before but keeping the familiar tones of old. It’s still as atmospheric as ever, with that ominous, dark, overhanging feel present from start to finish. One of the closing tracks, “Tonight”, even goes as far as being a complete copy of Nero’s signature hit “Promises”. But there’s more to it this time. The dubstep based sound has been tempered slightly to be more of a driving bass feel to it with the odd crashes thrown in, which lends it a more poppy sound that should play better with the masses. My absolute favourite is “Two Minds” which is a swingy and bouncy song with a powerful bass-driven chorus that is catchy as anything. Last year’s hit “Satisfy” also takes this same approach and delivers here on the album too. This album also does well to have a sort of thematic feeling to its song writing with stories of heartache and relationship struggle being told with the soaring and swooping voice of Alana Watson. Nero are never really going to make a cheery LP really, even though there’s flashes of a more upbeat tone in songs like “Dark Skies”. 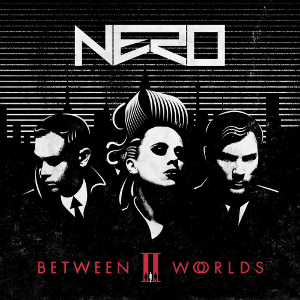 All-in-all it’s a great album that delivers exactly what you would want from Nero. If you like your dance music with that hit of a sinister sense then this is an album you’ve got to listen to.